Asus has launched the Zenfone Max Pro M1 at an event in New Delhi. The new device has been placed directly in competition with industry's favourite Redmi Note 5 and Redmi Note 5 Pro. Asus has launched the Zenfone Max Pro M1 at an event in New Delhi. The new device has been placed directly in competition with industry's favourite Redmi Note 5 and Redmi Note 5 Pro. On paper, the Asus Zenfone Max Pro is similar to the Redmi Note 5 Pro. However, the company claims that it has added more features to make 'relevant innovation'. The company has priced the Zenfone Max Pro at Rs 10,999 for the 3GB RAM and 32GB ROM, the 4GB RAM, 64GB RAM variant is priced at Rs 12,999. Asus will also launch a new variant soon with 6GB RAM and 64GB ROM which will be priced at Rs 14,999. The top variant will also come with an upgraded 16megapixel primary camera. The device will be exclusively available online via Flipkart on May 3, 2018. There are various partner offers on the device which includes pre-paid and post-paid plans for the Vodafone users. The telecom company is giving up to offers up to Rs 3200 with the purchase of the device. Flipkart is also offering an extra Rs 1000 exchange price with the device. Flipkart is offering its newly launched Care protection plan (worth Rs 999) for the Zenfone Max Pro at Rs 49. 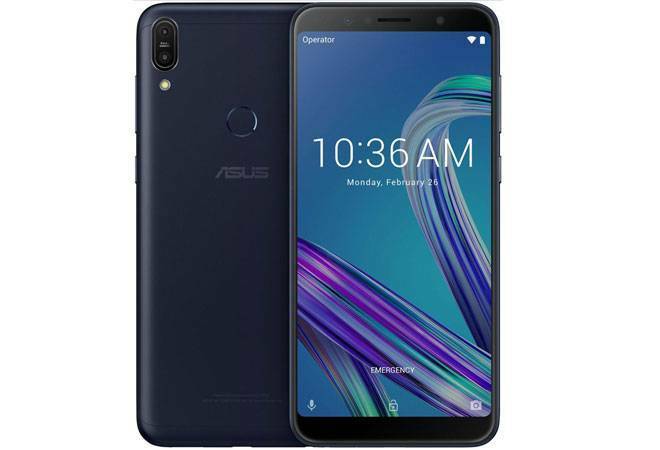 Coming to official specifications of the device, the Asus Zenfone Max Pro is powered by a Snapdragon 636 chipset which made a debut with the Redmi Note 5 Pro. However, Asus claims better performance in terms of boot up time and app opening when compared to the Redmi Note 5 Pro. The display is 5.99inch Full View unit which has a FullHD resolution covered in 2.5D curved glass. Asus has also managed to completely incorporate the dual-lens setup in the rear panel which keeps it stable on flat surfaces. The next big thing Asus revealed with the Zenfone Max Pro is the use of an almost stock Android software. Asus decided to let go of its heavier UI to make the phone snappier. With the new Asus smartphone, the user will get Android 8.1 Oreo out of the box. Coming to the next important aspect, camera. The Asus Zenfone Max Pro camera is dual lens setup with one 13megapixel unit with an aperture of f/2.2 and the second is a 5megapixel unit to implement bokeh effect. The front camera houses an 8megapixel unit with an aperture of f/2.0 and an 85.5 degree wide angle lens. The bokeh mode can also be accessed via the front camera on the Zenfone Max Pro. Flipkart claimed that most feature phone users did not shift to smartphones due to their petty battery life. With the new smartphone, Asus claims to have taken battery into account. The battery is a mammoth 5,000mAh battery. Another sore point Asus claims it has addressed is the use of a dedicated MicroSD card slot along with two SIM slots. The company made direct comparisons with Redmi Note 5 and Redmi Note 5 Pro that come with Hybrid SIM slots. Asus is also giving away a passive sound amplifier called Max Box free with the purchase of the device. Internally the device comes with NXP Smart Amplifier with a 5-magnet speaker. Flipkart and Asus turned official partners last week. Now, the company is launching the first smartphone of this series. Asus will be starting with a mid-range smartphone to compete in the crowded segment with giants like Redmi series and Motorola's G series. On paper, the Zenfone Max Pro goes head to head with the Redmi series. However, this might be the first time they have managed to undercut Xiaomi's pricing despite offering similar specifications. Coupled with impressive offers, the Redmi Note series has everything to worry about with the new Zenfone Max Pro in the race.